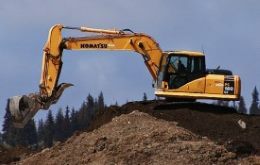 Builders Risk Insurance, Contractor Builders Risk in Farmington Connecticut - Wentworth, DeAngelis & Kaufman, Inc.
During the course of construction, Connecticut contractors, whether large or small, have different risks. Therefore, contractors throughout Connecticut need a professional insurance agent to determine those risks. Wentworth, DeAngelis & Kaufman, Inc. has been helping many contractors and builders to assess these risks and insurance needs. Contact us to find out more about builders risk insurance in Farmington Connecticut area.